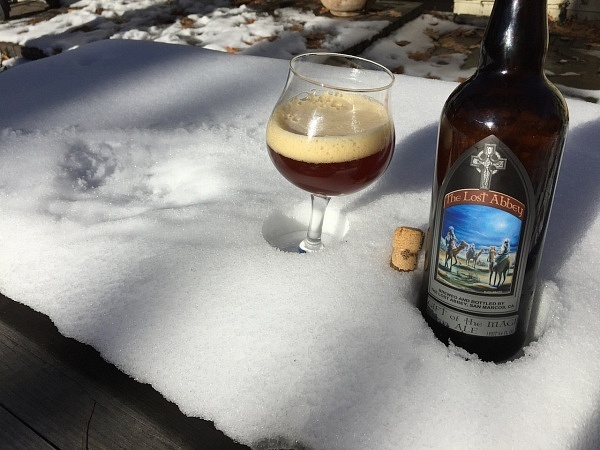 I love winter seasonals and Gift of the Magi Ale from The Lost Abbey is one of the best. Lost Abbey has a history of making great big beers and brewing their own creative takes on the Belgian Strong Ale category, and Gift of the Magi is one of their best. The beer comes in a corked 25oz bomber and at 12% ABV it is definitely one to be shared with loved ones due to its strong and sometimes overwhelming nature. I recommend giving everyone a taste during a holiday meal since there is enough to go around and it encapsulates the feeling of Christmas perfectly due to its strong dark nature and palate of seasonal spiciness. After uncorking the large bomber and pouring Gift of the Magi Ale into a large tulip snifter the deep golden honey brown color of the beer formed a deep and thick off-white head that dissipated into a still thick but small cloud of foam. The taste starts with a malty sweetness that is indicative of Belgian Strong Ales and caramel undertones work well with the base malt. The hop profile is quite firm but overall subtle and not overpowering, Lost Abbey even uses a small bit of Frankincense as a bittering agent that gives it an ancient and unique feel. The nose is one of the best I have ever experienced; it is spicy and floral, highly reminiscent of a slowly crackling fire. Once again Lost Abbey fully embraces the season by adding the herb Myrrh which adds a nutty characteristic to the nose and accents the overall taste quite well. Even though this is a big beer in every way imaginable it finishes clean due to the lager yeast used during fermentation which mellows the strong taste profile. Gift of the Magi is a huge beer that drinks surprisingly easy and will warm you up even on the coldest of winter nights. I recommend picking up this Christmas seasonal immediately as it is truly one of the best in class and will not be on shelves forever. 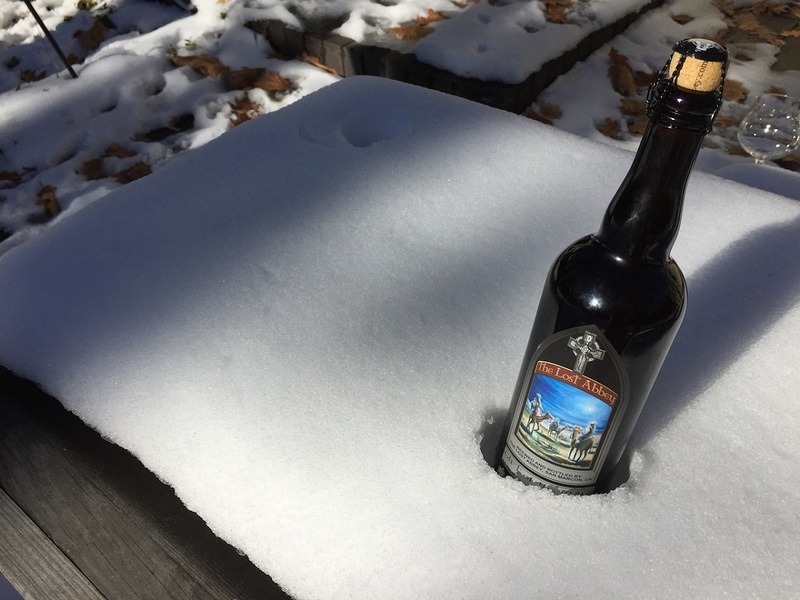 Gift of the Magi Ale from Lost Abbey is a gift fit for a king, or even a savior.